NZDC in 'Lumina'. Photo courtesy of the Splore Festival. International ballet master Anthony Taylor will be visiting New Zealand in January for workshops. He will be joining the faculty of International Ballet Workshops (IBW), for its summer 2017 Giselle series, where students aged seven and up will learn repertoire from the beloved ballet Giselle. British-born Taylor was the director of Ballet Koblenz for 29 years and is now resident classical ballet teacher at Tanzcompagnie Geissen, Germany. As with all the IBW teachers, he will be bringing unique international opportunities for students aged 16+. As a result of IBW 2016, one young Australian student is now dancing full time at the Royal Winnipeg Ballet School in Canada. The workshop will be held at Neverland Studios, January 27 and 28. Registrations are now open. 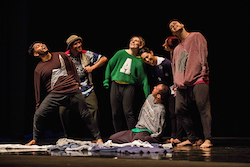 NZDC in ‘The Adventures of Xin’. Photo courtesy of the Splore Festival. The New Zealand Dance Company (NZDC) is bringing two performances to the shores of Tapapakanga Park, as part of February’s beloved Splore Festival. 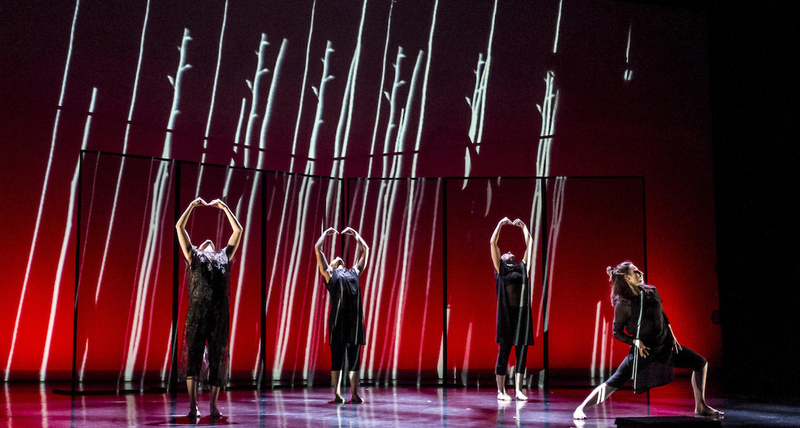 Audiences will be able to see the best of New Zealand’s contemporary dance in a completely natural setting. The NZDC will perform Lumina in Yealands Living Lounge, Splore’s dedicated and intimate performance space. The company will also perform a family show, The Adventures of Xin, on the beach. Shona McCullagh, chief executive and artistic director for NZDC, says it’s great to bring dance out of traditional theatres and into a relaxed festival setting, making dance accessible to those who may not have experienced the genre before. For more information, head to www.splore.net. After three years, the Royal New Zealand Ballet (RNZB)’s, Artistic Director Francesco Ventriglia has decided to end his contract with the national ballet company in mid-2017. Ventriglia will stay on as artistic director until June of next year and will then take on a new role with the company as guest choreographer, to complete the creation of RNZB’s Romeo and Juliet. The premiere of this new ballet will take place on 16 August in Wellington, after which time Ventriglia will regrettably depart to pursue international opportunities. An international search will begin shortly for a new Artistic Director and a successor to Ventriglia will be announced in due course. New Zealand School of Dance students Emma-Rose Barrowclough and Luke Cooper in ‘Tempo di Valse’. Photo by Stephen A’Court. After a successful Graduation Season, final year students at the New Zealand School of Dance are launching into professional careers. 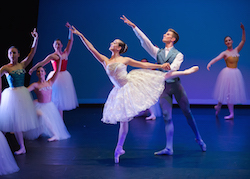 Amongst the classical students beginning to secure contracts are Sophie Arbuckle and Yuri Marques with the Royal New Zealand Ballet, and Jeremie Gan with Singapore Dance Theatre. 2016 contemporary dance graduate Tristan Carter is relocating to Israel to join the prestigious Kibbutz Contemporary Dance Company. Students taking up positions at Australian companies include Jag Popham, Expressions Dance Company; Christopher Mills, Australian Dance Theatre; Isaac Di Natale and Anthony Hamilton, Sydney Dance Company; Holly Newsome, Choreographic Residency in Melbourne; Tiana Lung, Alex Warren and Samuel Hall, STRUT. Hall will also be going to Sweden as an apprentice with Norrdans. Students launching their career in New Zealand are Isabel Estrella with Okareka Dance Company, and Breanna Timms with The New Zealand Dance Company. On December 9, Atamira Dance Company‘s Artistic Director Moss Patterson will lead a two-hour class focusing on dance technique, choreographic exploration, repertoire and tikanga practice, Atamira style! The company invites registrations from professional dancers, tertiary dance students, choreographers and teachers to register. Places are limited to 20 people; booking is essential.